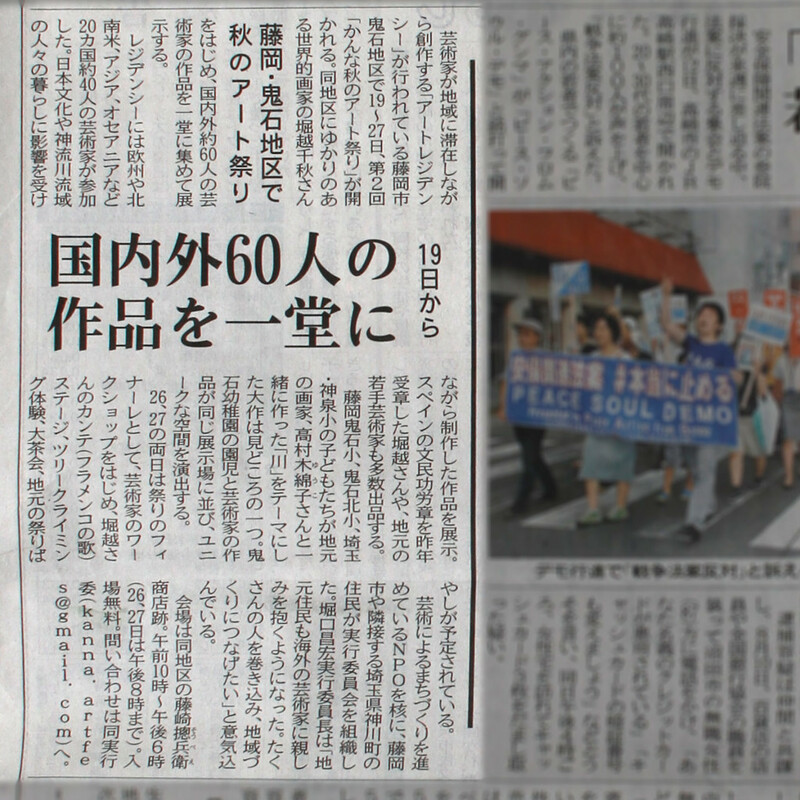 Article in Jomo Shinbun newspaper about the Kanna Fall Art Festival in 2015. The week-long festival had work from 60 artists from 20 countries on display as well as musical performances on the Fujisaki grounds, at the Shiro Oni artist studios, and at Atorie Shino. Guests enjoyed live music, food, drink, interactive art, the Japanese tea ceremony, and outdoor activities including tree climbing and two-person log sawing.